The single D.A.S. 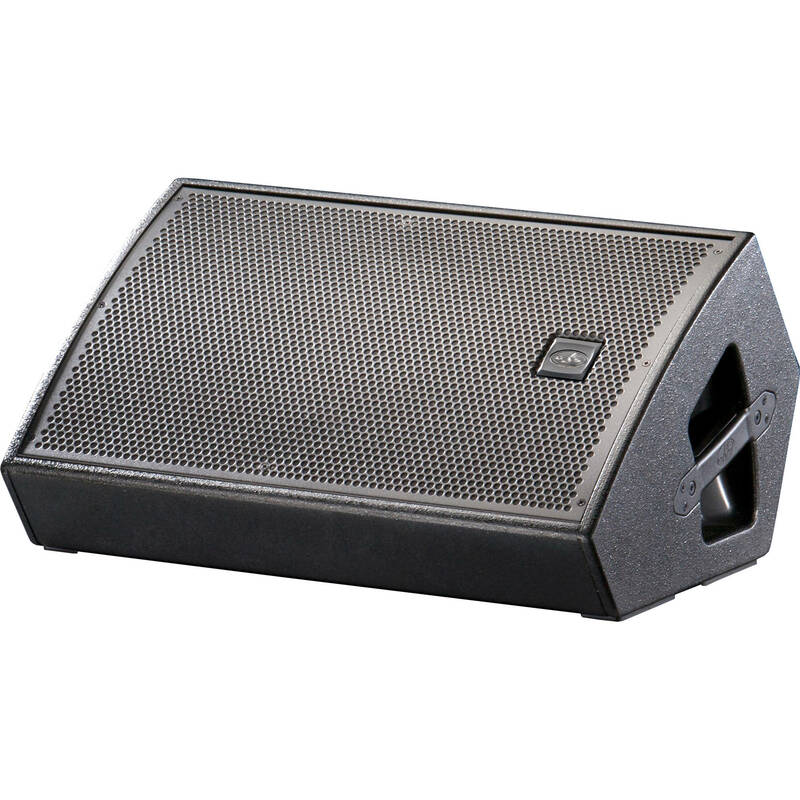 Action M12 is a passive, full-range, two-way stage monitor designed for professional live sound reinforcement applications. The speaker offers a power handling of up to 1200W peak, which drives the 12" woofer and 1" compression driver that combine to provide frequency response of 63 Hz to 20 kHz and a peak SPL output of 130 dB. The ISO-flex painted birch plywood enclosure is a low-profile design, allowing it to be used with minimal visual impact. Two bar handles are offered for ease in transport, while the steel grille provides ample protection to the loudspeaker's drivers. The rear panel features two NL4 speakON connectors for daisy-chaining multiple speakers. For more flexibility, the D.A.S Action M12 is outfitted with a 35mm pole cup for speaker stand applications.